The 2016 Lexus RX Series is the top-selling premium crossover in America. Since it created the premium crossover segment back in 1998, the RX has led the field in sales and also in offering its customers what they want. Here are three simple things that Lexus does that make it unusual and special in a segment where excellence is the minimum customers expect. What is the “right size” crossover? Of course, that question has no right or wrong answer. However, if sales matter, then perhaps there is an answer. The Lexus RX 350 is a very roomy five-passenger crossover. 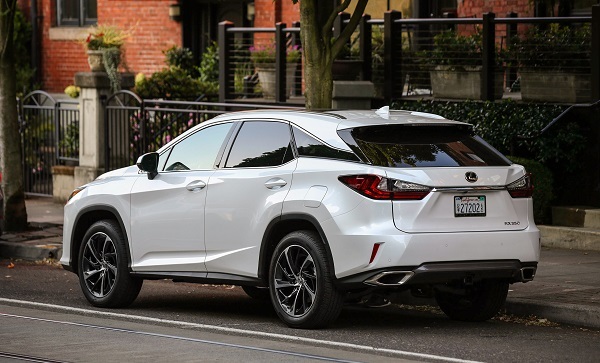 By skipping the third row, Lexus keeps the length of the RX much more manageable than its competitors that struggle to fit into a normal garage. With a length of 193 inches, the Lexus RX 350 is nine inches shorter than the Buick Enclave. Its width of 75 inches is two inches thinner than Infiniti’s QX60. That means an extra inch of space on each side of the vehicle entering and exiting the garage. Many customers prefer a third-row seat in a crossover. Lexus has three-row vehicles as well, but this is the segment that Lexus created and sticking to two rows has its merits. Have you ever seen a crossover or SUV driving down the road with its rear wiper dangling by a thread or sticking up after exiting the car wash? The reason it does that is the wiper is mounted externally and subject to being caught on the washer’s cloth bits that clean the vehicle. Lexus tucks the rear wiper up under the rear wing. When not in use, the wiper is safe from damage and also makes the rear end look cleaner and more classy. A simple thing, but in the real world important. The Lexus RX 350 succeeds as well is does, and as well as it has for two decades, because it is the right size, offers smart design features, and fits the budget of more premium buyers.